It's the Elite 8 round, and the Cards and Huskies are playing for a Final Four berth. This isn't news to anyone that's a regular here at Cardinal Couple, of course. Walz's squad beat UConn for the first time in his tenure earlier in the regular season. 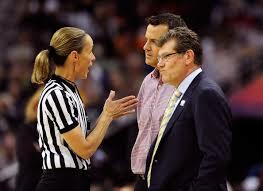 That win, along with their loss before that to Baylor, established that this is a beatable UConn team. 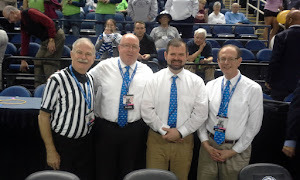 Let's be very clear, though, that they, of course, are still a very good team, one of the best in the NCAA. The change that is happening in women's basketball is that they are no longer clearly THE best, merely among the best. Notre Dame, Baylor, UConn, UofL, Mississippi State...and probably a few more, if you're in a generous mood, can all be classified into that grouping. Have the rest improved? Or has UConn not kept up it's previous level of excellence? Yes. Frankly both of these things have been a trend. 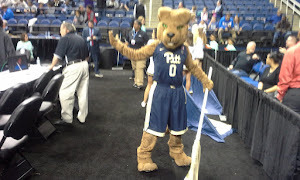 used to be...the mediocrity of the AAC, has taken its toll on the Huskies recruiting, I suspect. That's unfortunate for UConn, but it is the state of things. On the other side of the equation, let's look at the UofL squads from 2013 and today. Shoni Schimmel? Unquestionably a spectacular player, an offensive juggernaut, and dropped some spectacular dimes. I'll take Asia Durr, though and sacrifice some of the flash, but none of the potency, and add in excellent defense. What about bigs and power forwards? Sheronne Vails, Cortnee Walton, and Sara Hammond? All excellent players, but if you line the 2013 versions of them up against Sam Fuerhing, Biona Dunham, and Kylee Shook? 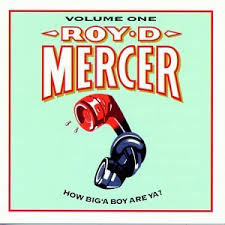 I'll put my money on the 2019 edition. So the matchup today. 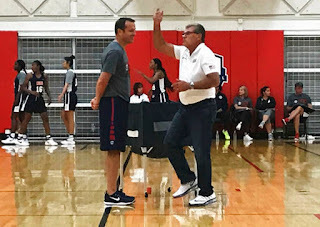 You know the characters: Geno Auriemma, with Chris Dailey ever at his side. The marquee players for UConn: Crystal Dangerfield, Napheesa Collier, and Katie Lou Samuelson. 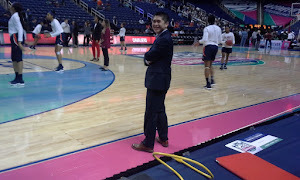 We even know the TV folks that'll be covering it and their tendencies: Adam Amin, Kara Lawson, Rebecca Lobo, and Holly Rowe. The crowd will be a predominantly UConn crowd, because you know, heaven forbid the NCAA make UConn ever travel any more than the absolute minimum. We'll know the outcome in a few hours. Will the Cards or the Huskies be Tampa bound? Either way, a very worthy team will be ending their season today. 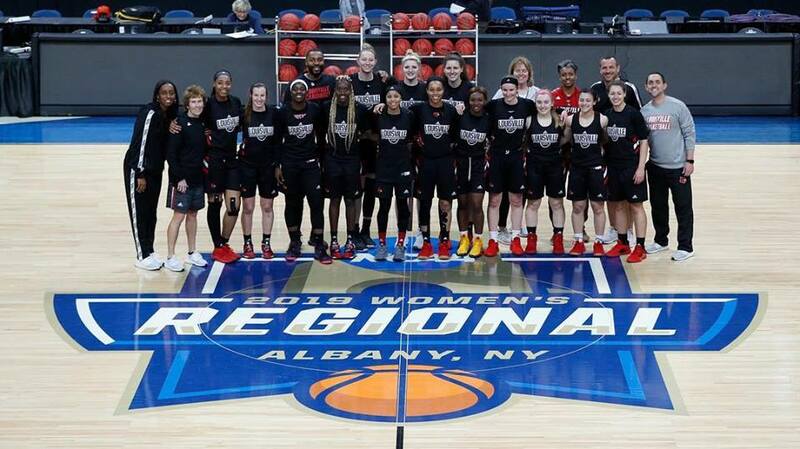 Despite the focus on March Madness, there are other women's sporting events going on for UofL. Softball is tied in their series against #19/20/24 Virginia Tech. As Case covered yesterday, they did take the game Friday with a 2-run late inning triple by Celene Funke. The tables turned yesterday, however, with Virginia Tech getting the run-rule victory after 4 1/2 innings, 10-1. The sole run for the Cards was a solo home run shot to left by Kyra Snyder. 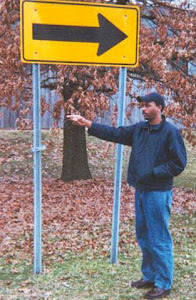 Which way does this one go? We'll find out today at 1pm. As with most ACC matchups, you can catch this one on the ACC Network Extra on ESPNs streaming platform. We make light of Jared Anderson seemingly being in multiple places at once as he gets some of the great pictures that you see here on Cardinal Couple. We're glad he's a part of what we do. 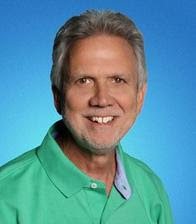 I believe his plans for today are to catch some of Women's Tennis Senior Day celebrations and play. They'll be honoring Aleksandra "Ola" Mally, and Sena Suswam before their matchup with Boston College at 10am. 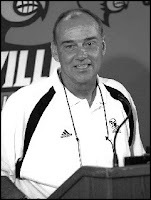 After that, will he head over to charge up on some TeeterPower at the Louisville Lacrosse Stadium? Perhaps. With Delaware coming to play, the Cards will have a tough non-conference matchup to continue to build their skills. 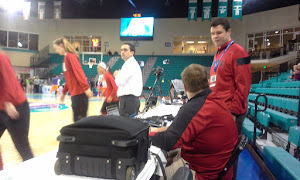 They get started at noon and can also be watched on the ACC Network Extra. 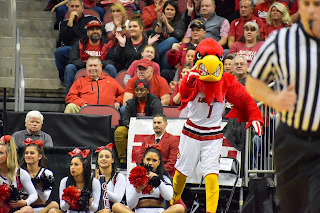 myself, along with a fathead of Jeff Walz's head, were all on the air yesterday. 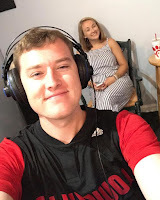 Obviously we dove into the basketball topic rather heavily, but we also shared a bit about the Volleyball spring match against Kentucky, Softball's successful Friday effort at Virginia Tech, and I got to love on a dog as Pumpkin made a late appearance in the studio as well. 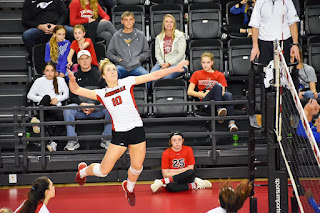 Next week, I'll certainly not be in studio as I plan to check out more volleyball spring play, this time in the morning at OVVC for the KIVA Collegiate Showcase (I think that's the name they give this event every year). Meanwhile, hopefully Paulie and Daryl will be in Tampa covering women's basketball. 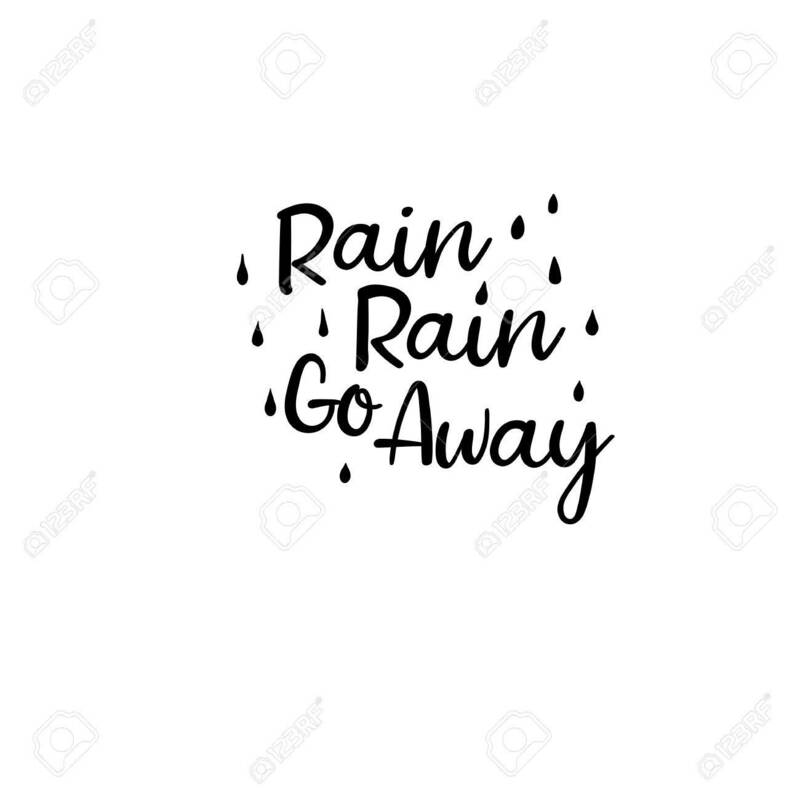 There will be a show as Monk, and probably Pumpkin again, will be there for the engineering duties, and Case and Jared have committed to being there to carry on without us. 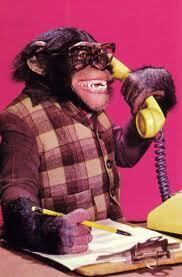 There may be phone calls for those of us not in studio. In any case, we'll still have fun and knowledge provided...so tune in to find out. Spring is in the air! Or at least it was for most of this week. With a cold front and rain coming in, some spring sports have had their schedules shifted a bit to adjust. However, that doesn't mean that the spring sports in action have slowed down their performances at all. 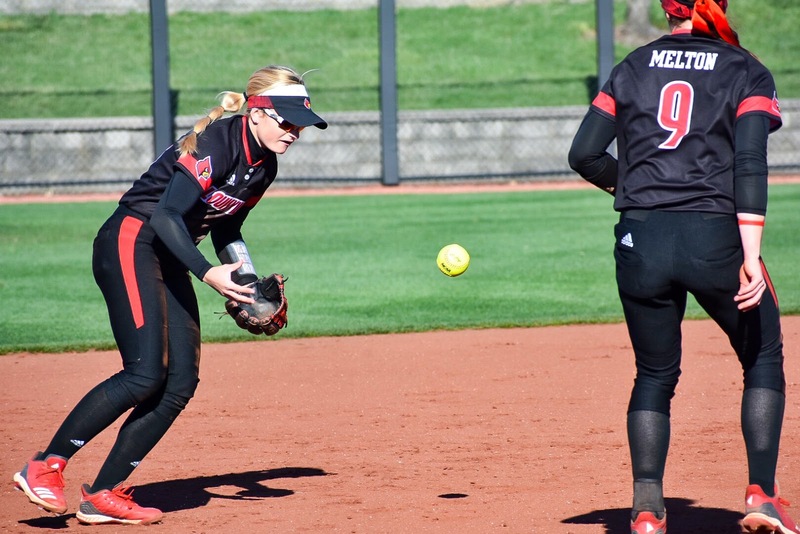 Softball, basketball, and volleyball were all on their respective playing surfaces yesterday and the two official games were marked down as wins for the Cards. Let's take a look at how the last Friday in March went for Louisville. It was about a year ago that Oregon State and Louisville met with a run to the Final Four on the line. The Beavers kept the game close for the first 20 minutes in last year's affair, trailing by only 7 at the break, before Louisville laid it on in the second half. The Cards went on to win by 33 and advance, sending Oregon State home to stew. The players told ESPN prior to last night's game that they had circled this matchup as soon as the bracket came out, seeking revenge for last year's embarrassment. Didn't work. 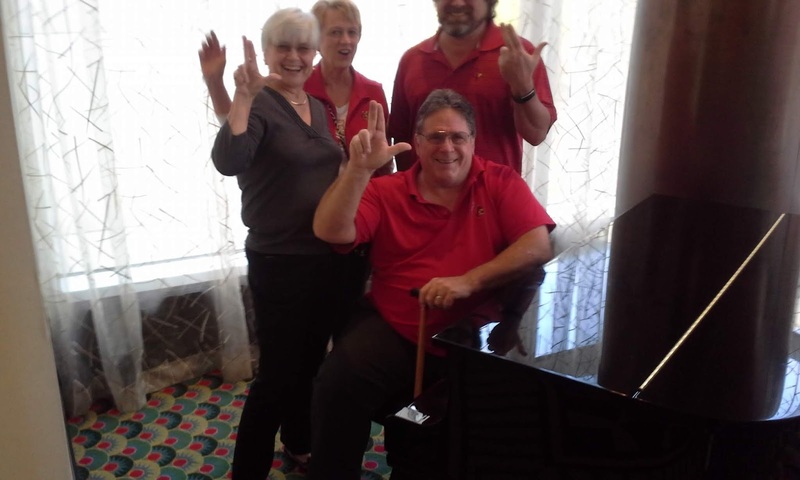 Although the Cards won quarters 2 and 4 by only one point apiece, two significant spurts in the first and third quarters were the difference makers. The Cards jumped out to a 13-4 lead in the first four minutes of the game. They would never yield the lead on their way to a 61-44 win. 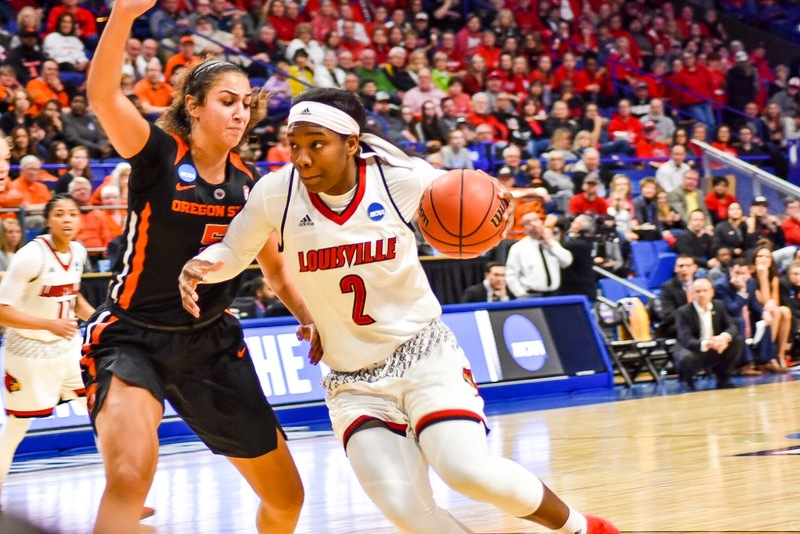 Oregon State was able to cut the lead to just four in the second quarter before Louisville spread it back out, but a 14-5 third quarter in Louisville's favor sealed the deal. Once again, the Beavers found their way to advancing in the NCAA tournament blocked by a dam built by Louisville. The first quarter of last night's game showed Oregon State who they needed to watch out for immediately. As rivals with Oregon, they've got experience with slowing down a top player in Sabrina Ionescu. Unfortunately, they didn't get the memo quickly enough on Asia Durr, as she scored or assisted on Louisville's first 8 points. Though Durr would not score again for quite some time, she began to pull more attention, which opened up the rest of the team. Spoiler alert, Louisville is pretty daggone good when they can spread you out. 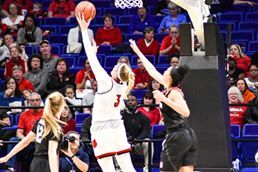 Louisville's bigs, Sam Fuehring and Kylee Shook, showed that as they scored 11 of the remaining 13 Louisville points in the quarter, going a combined 3-3 from behind the arc. Fuehring and Durr were fantastic last night, putting in a combined 77 of the total 200 team minutes. They each finished with 17 points and combined for 17 rebounds and 6 assists. One of them was 3-4 from three point range and the other had a block. Those two stats are contributed to the opposite player that you might think. Asia did commit two turnovers, but hey, they were two out of a team five, so there can't be a lot of complaint there. As a team, the Cards were pretty well on their game. Of course, they'll need to play better in the next one, but don't let the low score fool you. This one was dictated by pace of play, with Louisville and Oregon State putting up only 57 and 56 total shots, respectively. The two teams shot 11 and 13 free throws and the turnover totals were fairly low at 5-12. The game was just slow. Of Louisville's 5 turnovers, two were shot clock violations. Part of that may have been the lack of willingness of either team to stretch to the bench for fresh players. Both teams played only 7 players with significant (10+) minutes. The 8th player for both teams played less than five minutes, and Louisville's extra three bench players were final minute subs. Louisville did lose the rebounding battle, which is concerning, but they finished tied in second chance points and led in paint points, points off turnovers, and fast break points. 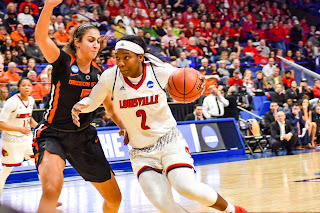 Louisville will need to be stronger on the boards against UCONN on Sunday, but they succeeded at the things that the generally do well last night, and although it wasn't as flashy as their previous two wins, it was still a 17 points Sweet Sixteen victory. Did I mention the Cards would be taking on UCONN? The Huskies played their third "closer than normal" game of this tournament last night when they took on UCLA. Geno's squad trailed to start the fourth quarter for the first time since 2016. 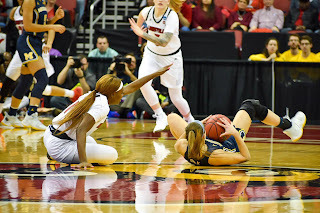 Granted, they were in the middle of a run that would see them go up ten and finish out the game, but team's have been able to show what UCONN's weakness is in this tournament. Conveniently, that weakness is something Louisville is typically pretty good at: three point shooting. UCLA kept close and ahead of UCONN with abnormally good three point shooting, and they fell behind when they went cold. Louisville was 7-17 from behind the arc yesterday and are 21 of 58 (36.2%) from three on the tournament. Louisville can't win Sunday's game solely on three point shooting, but it would be extremely tough to win without it. I'm quite sure that Coach Walz knows that, but I am sure he will be encouraging his team to play their game as they normally would. They get plenty of threes in regular play anyway, and they've also beaten this same UCONN team once before this season. C - Care: I mentioned it previously, but Louisville won the turnover battle last night 5-12. That's a fantastic total for this team, and couldn't have come at a better time. In a slow, compact game like last night's, a few key turnovers can be the difference. Though Oregon State was the worst team in the country at forcing turnovers (no, really. 349th) with only 9.06 a game, the Cards still committed only just over half of these. For perspective, one of the top teams in this tournament, the Oregon Ducks, are only 43 spots ahead of their rivals, forcing 13.5 per game. Louisville played well and didn't stoop to the level of their competition. Capital 'C'. 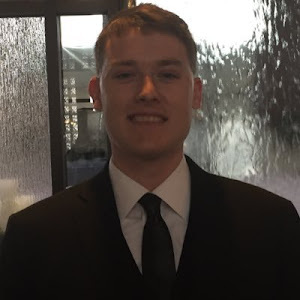 A - Assists: If you've followed along with the CASE Report very often, you know that a low turnover number usually bodes well for the assists category as well. Such was the case (no pun intended) last night, as the Cards finished with 14 assists on 23 made baskets. That's an assist ratio of well over half and an ATO of 2.8. I've said all year that the teams that will be most successful this season have high ATOs. Let's see if Louisville can continue that trend. Capital 'A'. S - Steals: For the number of total turnovers in last night's game, it would track pretty well that the steals totals would be low as well. Louisville snagged only 4, but they did allow only 1 from themselves. Additionally, Louisville's steals turned directly into points more often than not. Still, I'd like to see more active defense, leading to a faster pace and more overall shots. Can't depend on every team you play shooting only 30% from the field. Lowercase 's'. E - Efficiency: Louisville was pretty squarely a 40% shooting team last night. They shot 40% from two and 41.2% from three, leading to an overall 40.4% on the night. It was better than the opponent, who could muster only 30.4% shooting, led directly by an abysmal 2-22 performance from three. The Beavers just didn't have it last night. However, Louisville's total is below what we expect, as we look for a much higher percentage of two point shots to find the bottom of the net. Louisville also shot only 72.7% from the line, making 8 of their 11 attempts. Again, they're free points. Although just one more make on one more attempt would have gotten them to the benchmark, they didn't get there. An uncharacteristic no letter in the efficiency category, which will have to change on Sunday. On the one hand, Louisville played a pretty clean offensive game, earning a high number of assists and limiting turnovers. On the other, the pace of play kept them from getting the volume of shots they'd normally like, and they missed quite a bit more twos than expected. C-A-s-_ isn't terrible, but it likely won't beat UCONN. 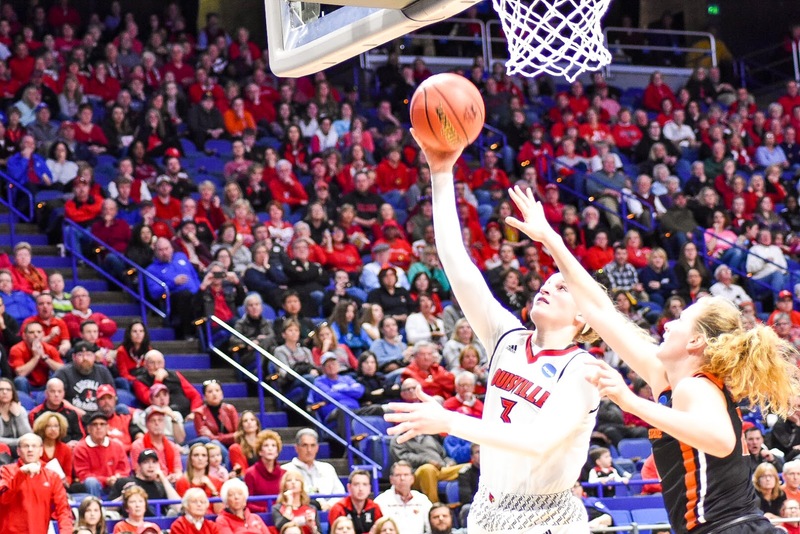 Look for a bounce back for Louisville's shooters (shoutout Sam Fuehring who continues to dominate with her field goal percentage this tournament) on Sunday. So there it is. Another victory in the books for the Cards. 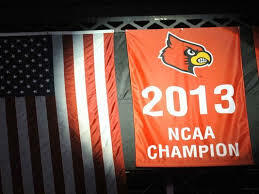 Three more, and Louisville could be raising it's first National Championship trophy come next Sunday. It starts with a rematch. Perhaps the toughest rematch in the whole tournament, but one that Louisville remains prepared for. This will be the test. 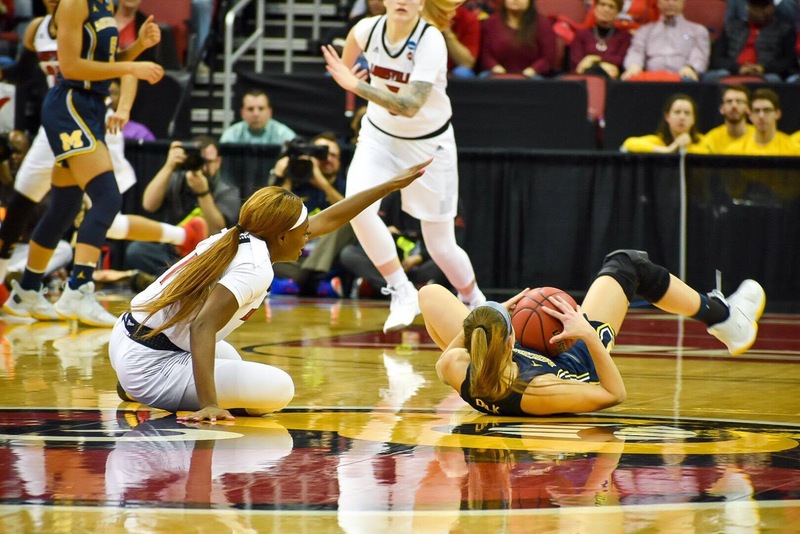 Have the Cards truly rid themselves of the UCONN boogeyman, or will the struggles against the Huskies continue during the tournament. We'll all find out at the same time. 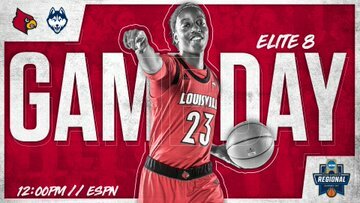 Cards and Huskies tip off at noon on ESPN. If you watched last night's games, you'll know that this matchup in Albany is virtually a home game for UCONN. All the better for Louisville to prove that they truly are the best team in the country this year. Though the headline is a bit unorthodox, it's exactly what happened, as Louisville saw a their 3-1 lead after one inning evaporate before they ultimately putting up the winning two runs in the sixth inning. 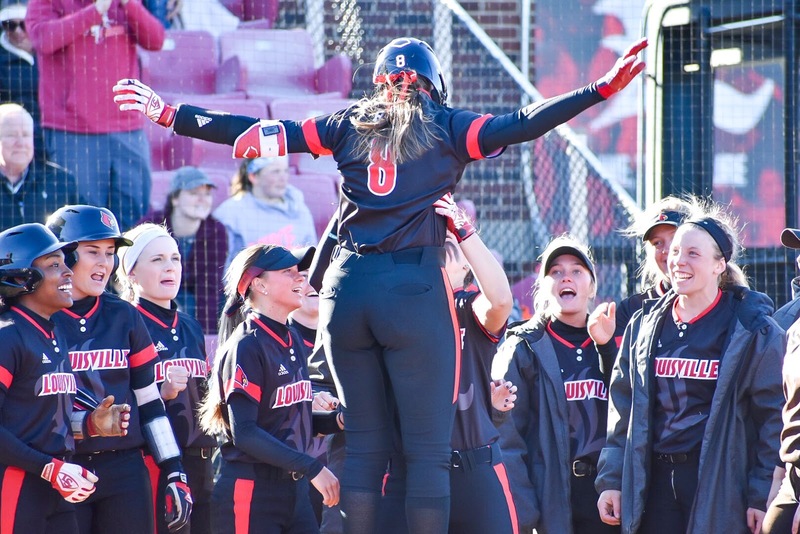 The Cards beat Virginia Tech in the first game of the three game weekend series 7-5. Louisville was led by Celene Funke, who knocked in three RBI and had yet ANOTHER triple. The junior had just two triples over the previous two seasons, but is now up to nine so far this year. 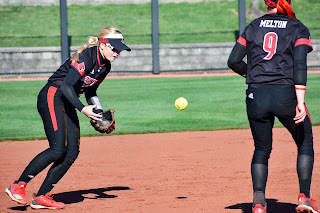 Louisville's team speed also presented itself in the form of four steals, helping players get into scoring position and bringing in runs to score. After Megan Hensley got the start and struggled to hold the lead, Danielle Watson came in to just over half of the game. Watson earned the win, after allowing just one run on two hits. She struck out five and walked none, needing just 46 pitches to get through her 3 and 2/3 innings. As a staff, Louisville pitching is still keeping walks and HBPs down, as Hensley also allowed just one walk and struck out three. Louisville is getting to the point where they can run out the best pitcher for the situation and have a very good chance at success. The win bumped Louisville up to 22-10, and got them up to 4-3 in ACC play. The Cards can remain better than .500 in ACC play by snagging one more win off of the Hokies in this weekend series. Tech sits at 28-5 and 8-2 in the ACC and will surely look to keep Louisville from scoring quickly in the two remaining games. 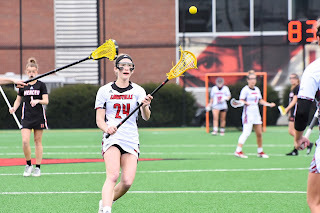 Louisville's skipper, Holly Aprile, may have to show what the Cards can do against a quality opponent in late, close game situations. Today's game is scheduled for 2PM and is available on ACC Network Extra. 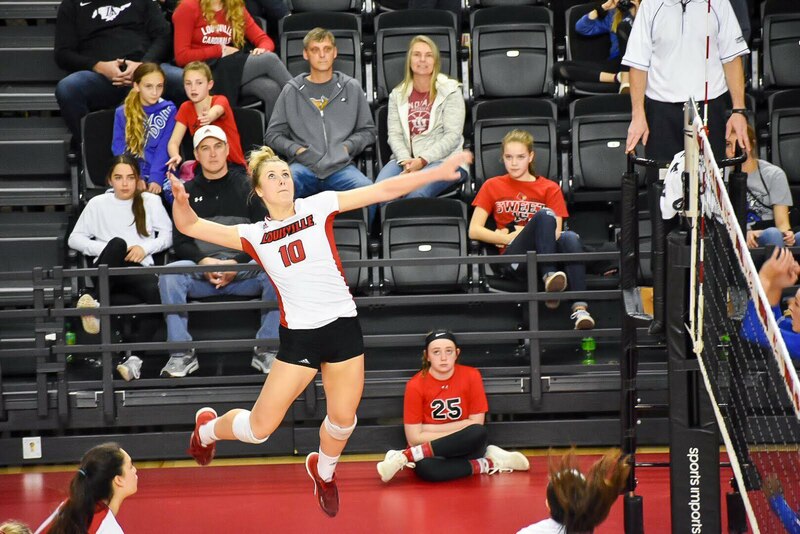 In a spring exhibition last night, the Cards welcomed the Cats to Cardinal Arena for what has become an annual offseason matchup for the two programs. Kentucky has fairly well established themselves as a perennial contender in volleyball, and the official Battle for the Bluegrass in the fall is usually a decent litmus test for the season. 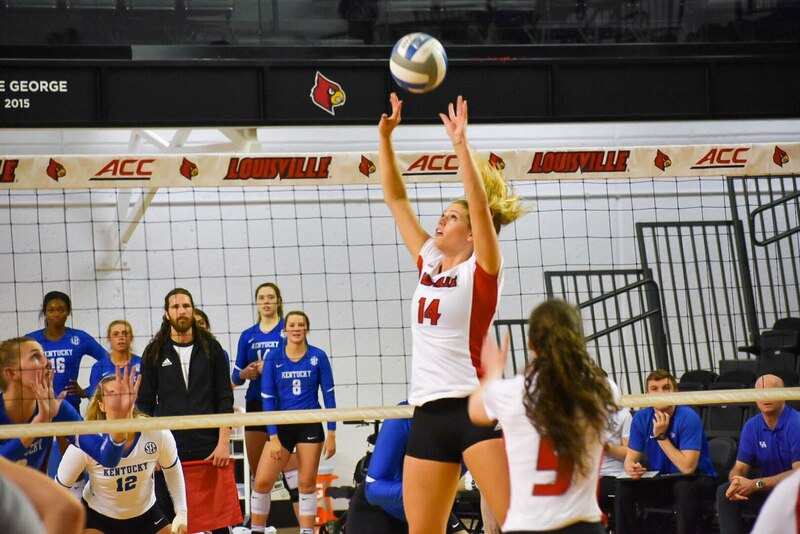 Louisville ultimately fell last night, after recovering from a 2-0 deficit to force the match to a fifth set. The Cards dropped that final set 15-8 but none of the four full length sets were decided by more than three points. 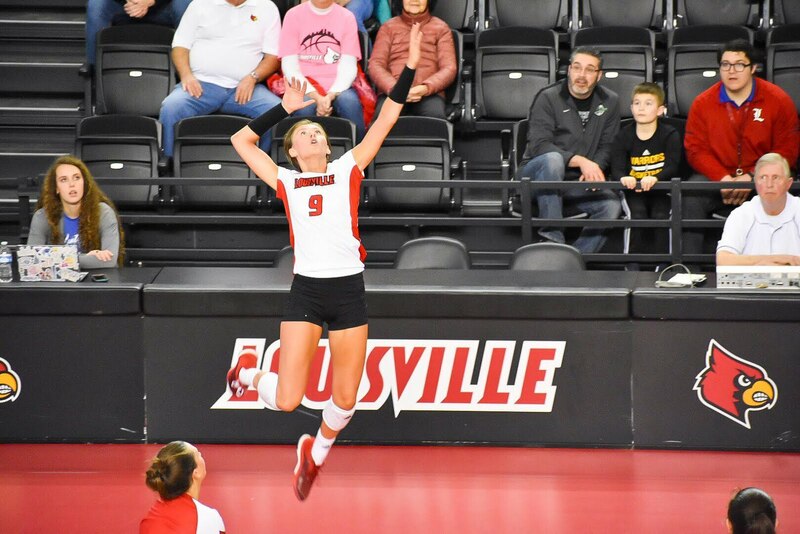 Louisville is still without new incoming freshmen, but we got our first look at new transfer Tori Dilfer, who will look to replace Setter of the Year, Wilma Rivera. The Cards also suffered a blow early on, when Piper Roe went down with an apparent leg injury. According to our correspondents on site, it looked to be a knee injury at first glance, but the trainer appeared to be examining the ankle/heel area. No official news yet, but hopefully it is only a short absence for the redshirt junior who looked to factor into the middle of the lineup a lot more this season. The Cards will be participating in the KIVA tournament in Louisville later next week. Well, do you think we'll have enough to get us through the hour today? 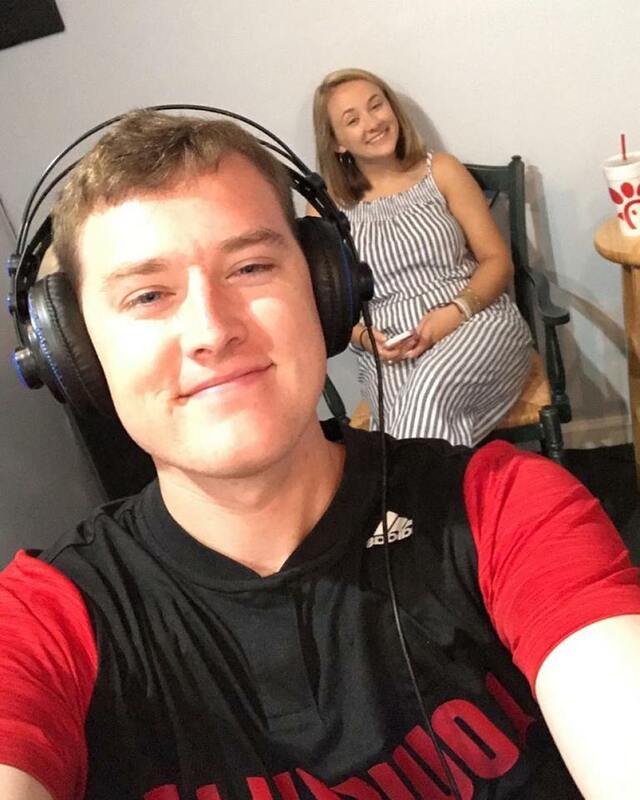 It's a full house on Mellwood as the originals, Paulie and Jeff, are once again joined by Jared, Daryl, and me for the Cardinal Couple Radio Hour. We'll bring you personal accounts from last night's games, additional analysis of the basketball win and future opponent, and much more at 11AM. 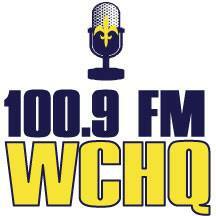 Tune in to WCHQ FM at 100.9, the WCHQ App, wchqfm.com, or Facebook Live to join us. 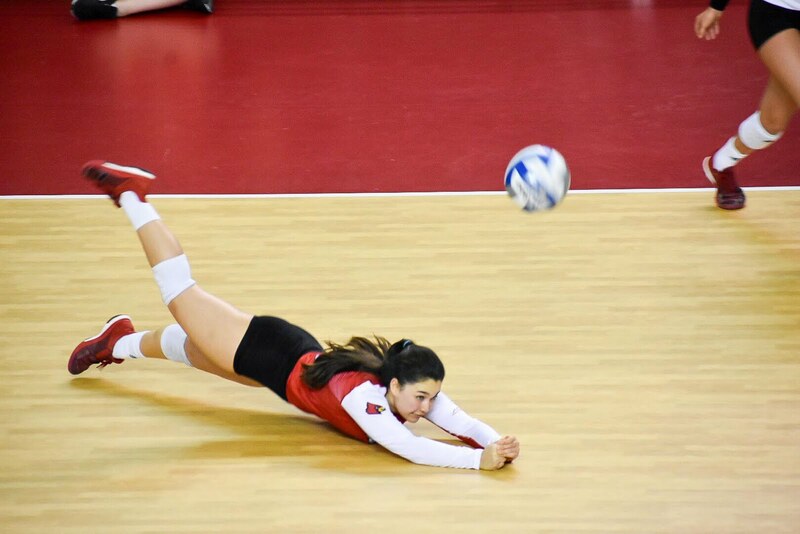 Additional pictures from Louisville volleyball last night below, courtesy of Jared Anderson. Louisville will take on Oregon State tonight in a Sweet Sixteen match-up. 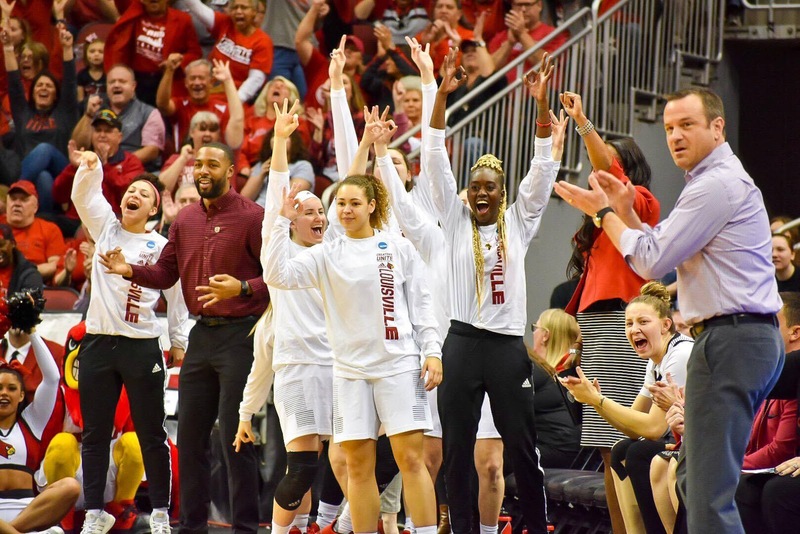 Last year the two teams met in the Elite Eight, where the Cards won big after a close first half to advance to the Final Four. 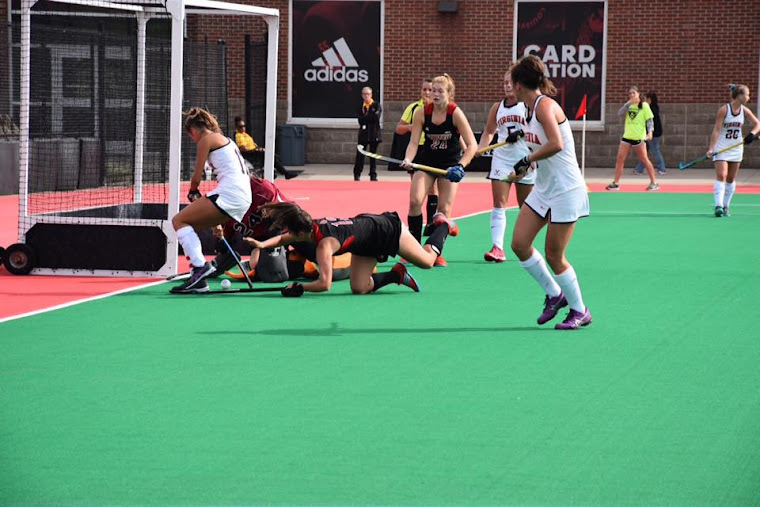 The Cards advanced to their ninth Sweet Sixteen in school history after defeating Michigan last weekend, all appearances happening in the last 11 years. Louisville hopes to earn their second straight trip to the Elite Eight. 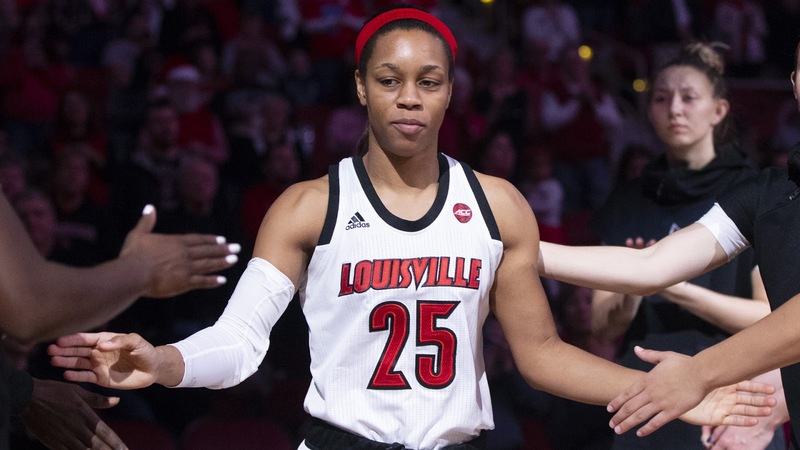 Asia Durr leads the Cards in scoring. The Wade Trophy finalist is averaging 21.3 points per game this year and second all-time in scoring at UofL. She is third in program history with 224 points scored in the NCAA Tournament during her career, 19 points shy of tying Angel McCoughtry. The three seniors (Arica Carter, Sam Fuehring, and Durr) are playing in their third Sweet Sixteen and are 9-3 all-time in the NCAA Tournament. The group is the winningest class in program history. Oregon State (26-7, 14-4 Pac-12) is in the Sweet Sixteen for the fourth straight time. They held off Gonzaga 76-70 last weekend. Prior to that, the Beavers took down Boise State in overtime 80-75. The Beavers have a dynamic duo in offensive threats. Redshirt sophomore Destiny Slocum is averaging 15.7 points this year and junior Mikayla Pivec is averaging 15.2 points. Pivec is also averaging 9.2 rebounds per game, putting her just shy of a double-double. OSU has some high-caliber wins against UCLA, Oregon, South Carolina, and Cal. They had close losses in the regular season to Notre Dame and Arizona State. 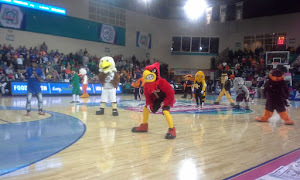 set to tip-off at 7:00 p.m., UofL and Oregon State will be more likely to start between 9:30 and 9:45, so yes, we are hoping for NO overtime for the first game. 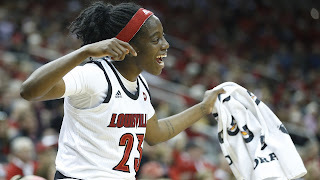 The UofL senior players were loose, happy and telling jokes at the presser yesterday in Albany. We learned that Arica Carter is an ice-thief. . Asia is auditioning for a stand-up comedian gig. Sam is focused on the game ahead. Jeff Walz is trying to convince Geno to take the Tennessee job. 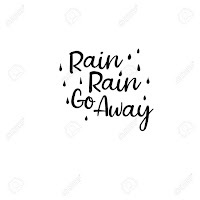 It appears Mother Nature is bringing us lots of rain today and tomorrow, altering some schedules. 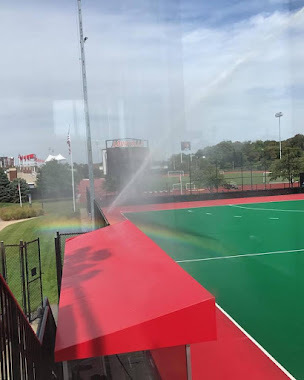 Outdoor sports are subject to change so keep an eye on social media and GoCards.com for last minute changes. Women's Basketball is the big sport happening with their 9:00-ish game tonight. 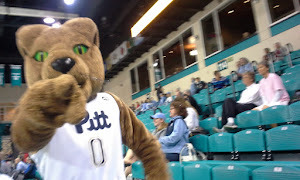 Hopefully we will see a victory so they can play again Sunday against the winner of UConn and UCLA. 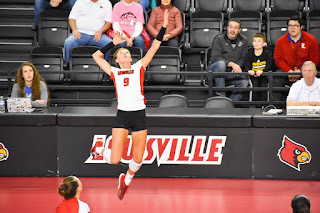 Volleyball has a spring scrimmage against Kentucky at Cardinal Arena tonight at 6:00. You can see the returners in action although not all of the new Cardinals will be joining us until the actual season in the fall. Admission is listed as FREE for the scrimmage. 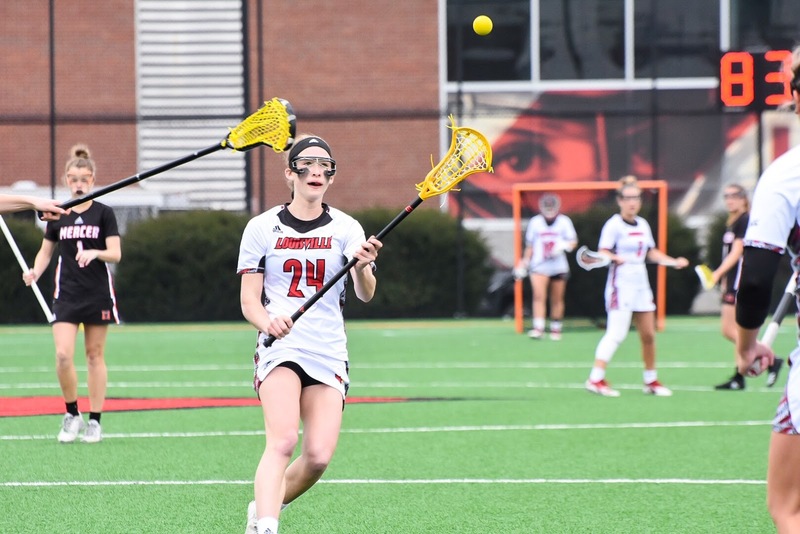 Lacrosse is back home at the Louisville Lacrosse Stadium on Sunday at noon. Rain won't stop these sticks and nets from playing. Lightning, though, is a different story. Admission is free and this game against Delaware should be a good one. 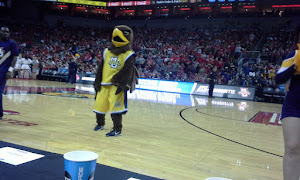 The Blue Hens are 5-5 this year. Softball is on the road in Blacksburg, VA., for a three-game series against a ranked Virginia Tech team. The Cards are fresh off taking over the NCAA Softball Instagram story yesterday, headed by Celene Funke. Crazy, travel socks, homework, and hidden 'talents' were some of the video clips posted. Women's tennis has Senior Day on Sunday at 10:00 a.m. 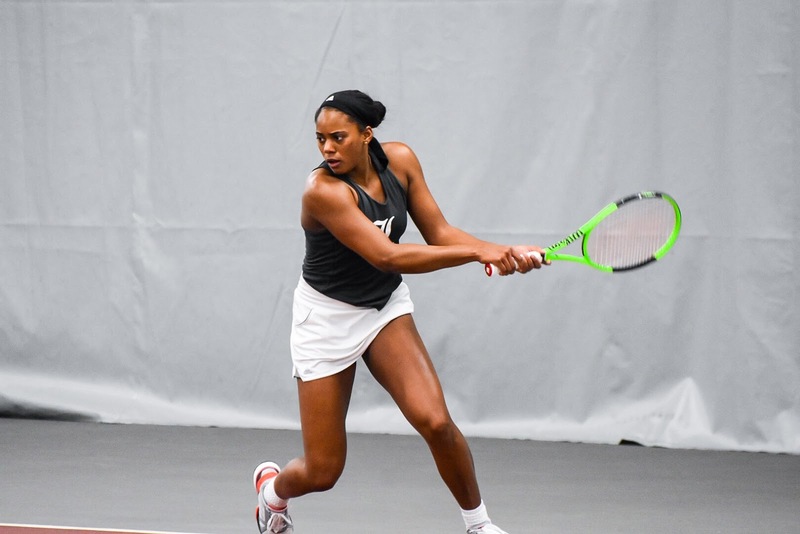 Seniors Aleksandra 'Ola' Mally and Sena Suswam are the two Cards that will be recognized before they face Boston College. The Bass-Rudd Tennis Center is another location that has free admission. 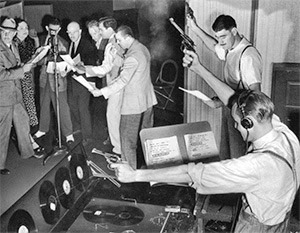 Paulie (far right) surveys the Radio Hour crew. 100.9 FM studios for another milestone in radio transmissions. Yep, the knuckleheads figured out the security code on the door and will hit the airwaves at Saturday 11:00 a.m. for 60 minutes of mayhem. 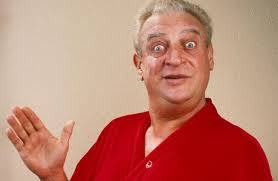 It should be a full house tomorrow in the studio as Paulie, Worldwide, Case, Daryl, and myself will be on air. 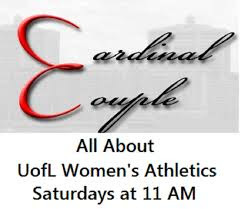 We will talk all sorts of sports with a primary focus on women's basketball. What? 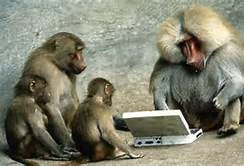 You expected bowling results and dart league scores? 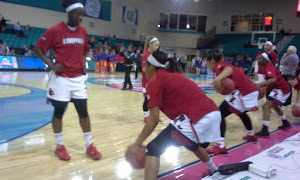 Hopefully, it's the first of several Final Fours in store for senior Asia Durr. The Women's Basketball Coaches Association announced yesterday that Durr is one of the final four for the award that signifies the best player in women's college basketball. Joining her on the list are Megan Gustafson (Iowa), Sabrina Ionescu (Oregon) and Teaira McCowan (Mississippi State). What! 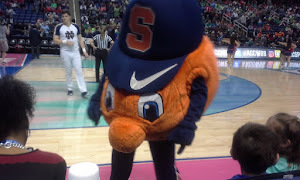 (you say)...Not one player from ESPN darlings Connecticut squad or NCAA favorite Notre Dame? Surely this can't be right! (First off...don't call me Shirley and, yes...it is correct). Sorry Arike and Katie Lou...this bus hasn't room for anymore passengers. 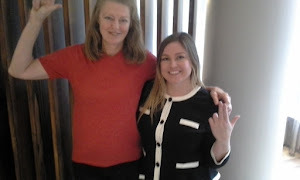 The announcement of the winner to come Thursday April 4th. 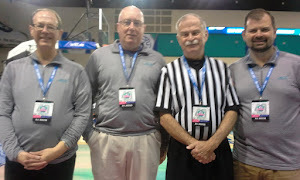 in Tampa at the Final Four's 2019 WBCA Convention. So, how did they get to the last four standing? Sabrina Ionescu. She has a team "still dancing" in the Sweet Sixteen and she was the Pac 12 player of the year. Twice in a row she's garnered that honor and she was first team ESPNW All-American. She also holds the NCAA DI record for career triple-doubles (for both the women and men). Her Oregon Ducks are the #2 seed in Portland and will take on upstart #6 seed South Dakota State at 11 p.m. Friday night on ESPN 2. Megan Gustafson. You can catch her in action Saturday in the Greensboro Regional action when she leads her #2 seed Iowa Hawkeyes in a 11:30 A.M. tilt against #3 seed North Carolina State. She has a pretty good resume, too. Big Ten Conference player of the year, ESPNW's National player of the year and led the nation in scoring. She's also the all-time leading scorer for the Hawkeyes. 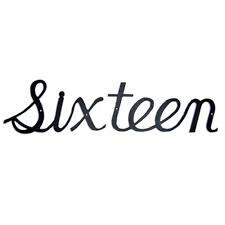 Teaira McCowan. 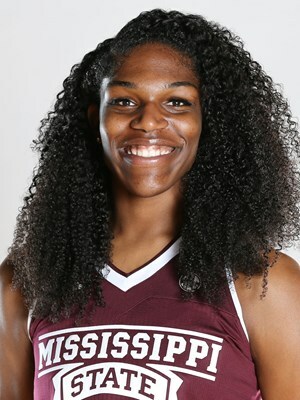 The Mississippi St. powerhouse was the SEC Player of the Year, SEC Tournament MVP, ESPNW First team selection and will lead her #1 seeded Bulldogs against #5 seed Arizona State on Friday night at 9 p.m. in the Greensboro Region on ESPN 2. McCowan averaged 13.5 rebounds per game and is the MSU all-time leader in field goal percentage. 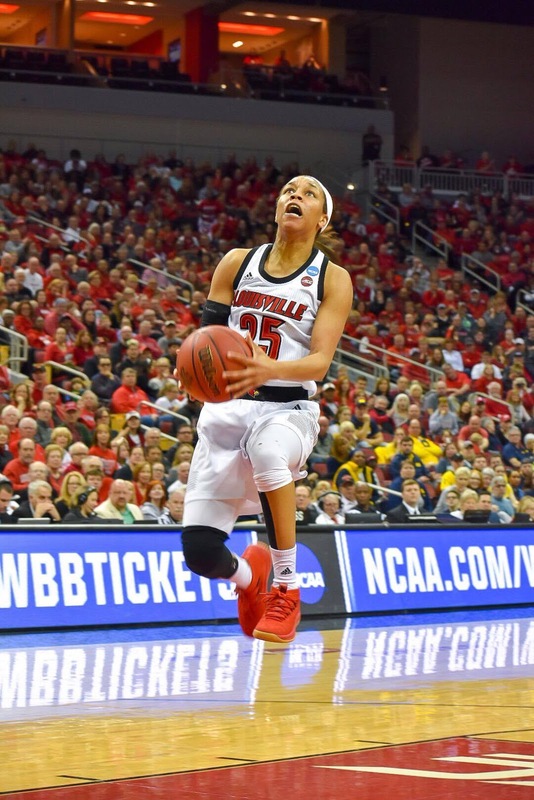 Asia Durr. "Nite-nite" was the ACC Player of the Year for the second straight time and averaged 21.3 points per game. 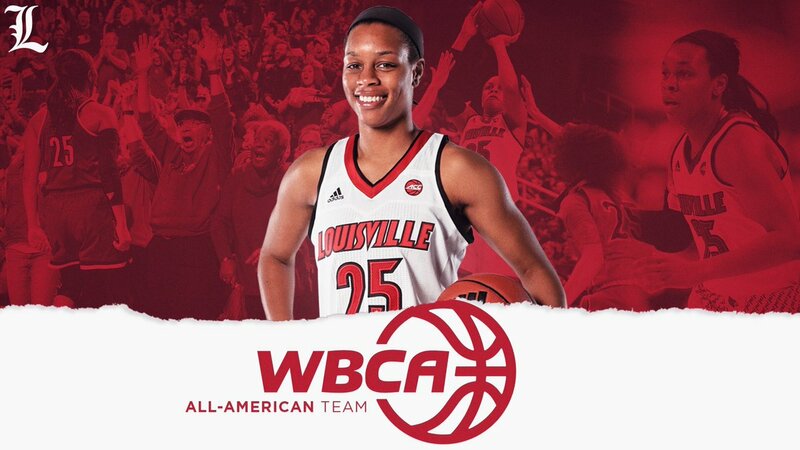 She was First Team ESPNW and is second in school history in points scored with 2447 behind Angel McCoughtry. 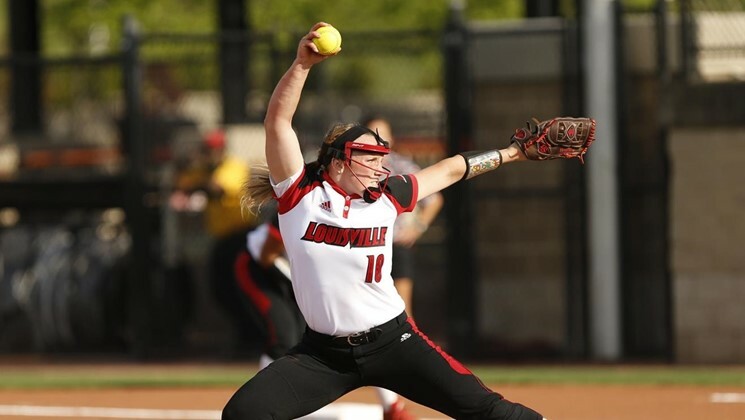 #1 seed UofL faces #4 seed Oregon State in the Albany Regional at 9:30 p.m. Friday night on ESPN. The Cards are 123-22 since Durr arrived on campus. So graceful on the court, so talented and so very confident. So...a west coast representative, mid-west player, south-eastern star and south contender. Four different conference represented. Two players from #2 seeds and two from #1 seeds.All still dancing. All legends in their fan-bases hearts and minds. It should be interesting. My pick? 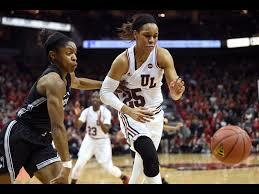 ASIA DURR. Not just because I'm a Cardinal fan. The Cards were consistently ranked higher than any of the three other contestant's squads and Durr was the main reason Louisville had the success they did. That spells "best player" to me. I've heard opposing coaches all season long gush about Durr, laugh when asked how to stop her and say she's the best they've seen this year. And, that sums it up. 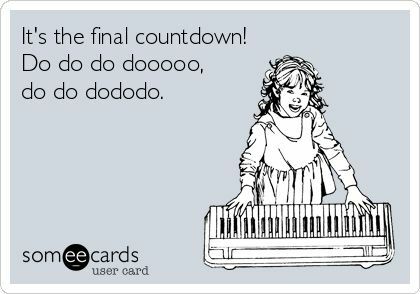 Feeling uncertain about the future and having anxiety attacks when you think about the status of Louisville's head coach? You are not alone. 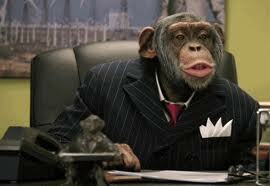 "I am not taking the Tennessee job. 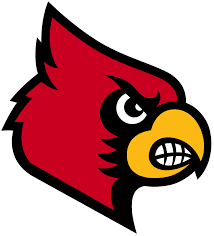 I am staying at Louisville". He did not say those exact words in a fun, informative, slightly silly and revealing Wednesday presser. 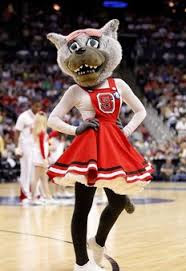 He danced around the issue, pointing out that Tennessee still had a head women's basketball coach. He goes through this every year. It's getting old on his side. It's his players' fault...they are so good that they make him look good...and desirable to other programs. He wants the Lakers job and to hit Powerball. Jeff answering for nearly 30 minutes the sometimes moronic questions from media who have never been to a Walz presser. People who wouldn't know Asia Durr from Asia Taylor. Self-important television bozos who are all about their own image and getting their voice heard. And, somehow, he made it fun. 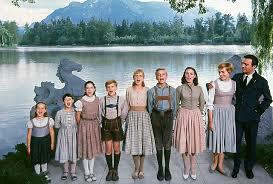 "Rut row... Phil's walking our way." A few hours later on Wednesday, Phil Fulmer uttered the words that many Vol fans were waiting to hear. 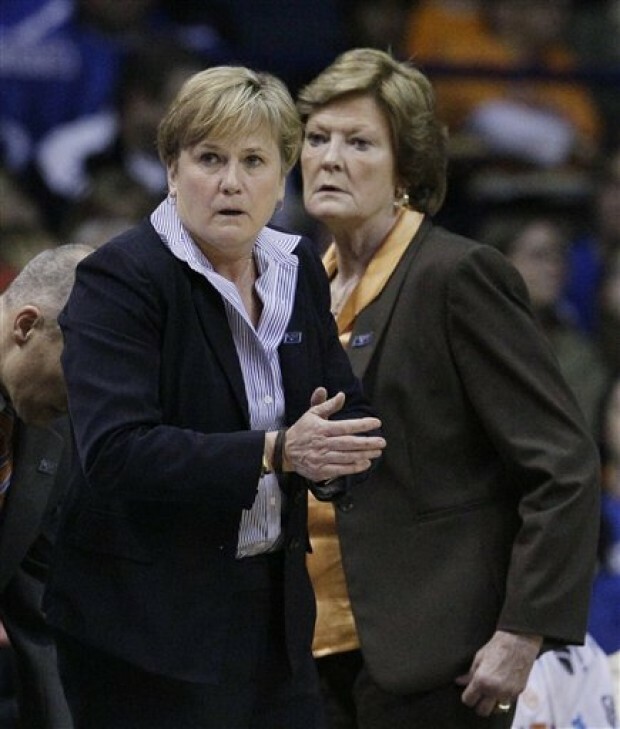 Holly Warlick had been let go. That set off a renewed panic in the Louisville fan base and unmitigated glee among Vols fans. I trolled a few message boards lie night. Not only are the Tennessee fans confident Walz is coming, some are thinking he'll bring Dana Evans with him. Take a step back. Breath. Come back to reality. 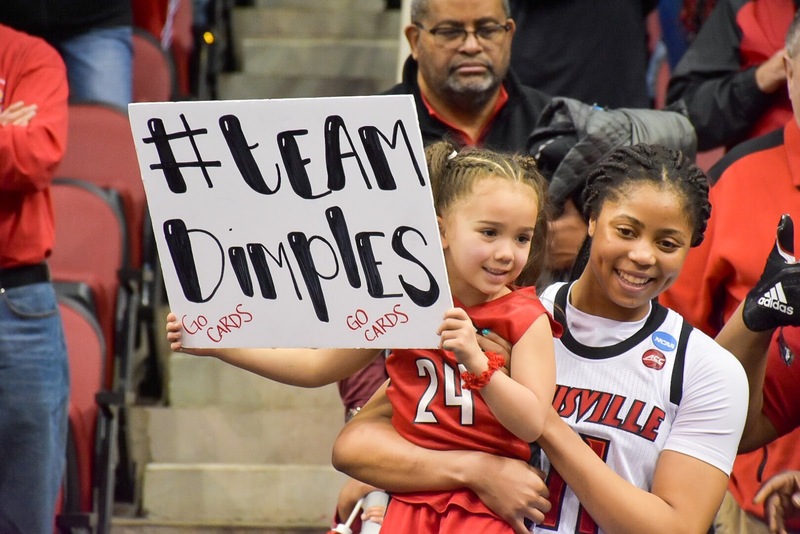 UofL women's basketball fans. 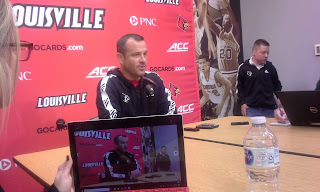 Jeff Walz has one thing only on his mind right now. Beating Oregon State. He is excited that Sam Williams got the EKU job, proud of Asia's recognition and maybe dismayed he didn't hit Powerball last night. (I got one of the six numbers, in case you're interested, on my solo ticket). And, somewhere in Coach's thought-process is the need to find a board game that he can occasionally win against Lola and Lucy. Cardinal fans. Please read carefully below. Focus on the game ahead. 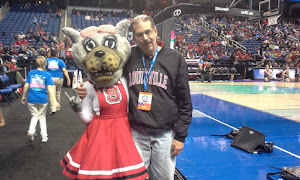 There will be no "John L.Smith going to Michigan State" surprises at the halftime of the Louisville women's basketball games. No one needs to track air-flights out of Knoxville to the Louisville or Southern Indiana airports. Sightings of Phil Fulmer in town can be related to the fact that the Vols A.D.'s #2 ranked Tennessee men's team is playing in the Louisville Regional of the NCAA Sweet Sixteen tonight at the KFC YUM! Center against Purdue at 7:30 p.m. I even heard..."Walz rhymes with Vols". (Putting hands over ears and loudly chanting... "LA.LA.LA.LA.LA"!) Walz is on several "top 10 replacement for Holly" lists and Mechelle Voepel seems to think is he the #1 candidate. I'm a little disturbed about those lists. I looked at several of these lists and didn't see "Paulie" on any of them. 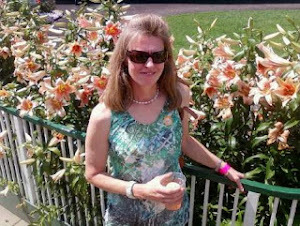 I did see Michelle Clark-Heard, though, on a couple of lists and I think "MCH" would be a fine fit in Knoxville. Set it aside, this worry and fretting about "WWJD" (What will Jeff do) and join me in celebrating that the Cards are in the women's Sweet Sixteen, that Sam Williams got the EKU head coaching job and Asia is up for the most prestigious player award in WBB. 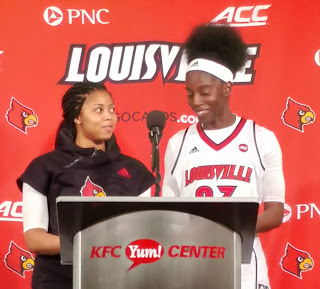 Celebrate the positive going on with UofL WBB right now. I guarantee you Coach Walz and the players are...and I want to go to Tampa. How about you? One day at a time. One game at a time. Beat the Beavers Friday, Cards. Full 25 minute audio from Coach Walz's presser. Relax, Card Nation. Jeff Walz is not going anywhere, including Tennessee to coach. Walz covered a variety of topics in the presser. 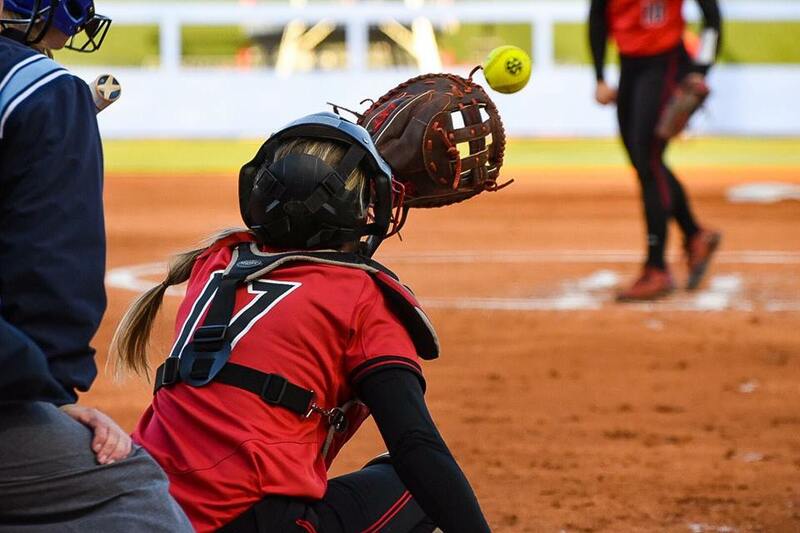 In their second straight victory after a three-game skid Louisville softball downed Indiana 5-2 as they returned home for a midweek game. The win was highlighted by home runs by Celene Funke and Taylor Roby. Funke took the first pitch the Cards saw in the game over the fence in right center, her second of the season and second of her career. A misplayed ball in left field, factored by the sun, helped the Hoosiers tie the game. They threatened to add another run by Megan Hensley worked out of the jam. She also worked through a bases loaded situation in the first inning. Hensley reached on a fielder's choice and Rebecca Chung singled to put runners on base in third inning. After subbing in pinch runners Roby took to the batter's box and sent a shot over the left field fence to break an even score. Indiana joined in on the home run party with a solo shot of their own in the fourth inning. 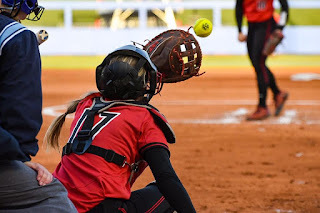 In the bottom of the sixth, Louisville added an insurance run on a bunt by Kyra Snyder, driving home Caitlin Ferguson. Hensley (9-1) tossed five innings, allowing two runs on five hits, but earned the win. Roby came in to close out the final two innings for the save. Maddy Newman had a team-high two hits while Roby's three rbi's were a game high. The Cards improve their record to 21-10. 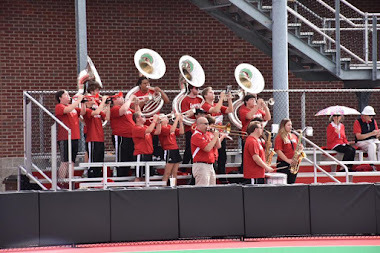 They travel to Blacksburg, VA., to take on a ranked Virginia Tech team this weekend before returning home next Tuesday, and then hosting national champion Florida State the following weekend. Tickets for the Louisville vs Kentucky game on April 17 are on sale. This is the only game UofL Softball charges for and tickets go fast. They can be purchased on Ticketmaster here. With their 21st win of the season, the Louisville softball squad, Aprile has constructed a squad that has several very good pitchers and a solid hitting group. The first year coach from Pittsburgh is starting to build a blueprint for winning and success here at Louisville. We'll give her the "swing away" sign on that. First of all, we're killing this rumor now. Jeff Walz is not leaving to go to Tennessee after this season. It was about this time last year where rumors of Walz going somewhere else began to spread. He's not leaving when this season ends, unless it is to get in a little skiing somewhere. . There is a press conference this morning at 11:15 at the basketball facility on campus that Paulie will be headed to. The Cards fly out this afternoon to go to Albany so I figure it's one last chance for the media to get in a few questions. What I want to know is how well AC and Sam are holding up after playing this weekend. Sometimes recent injuries get re-aggravated after playing a game and these two need to be healthy from here on out. Unfortunately, Syracuse and Miami were both upset at home to knock the ACC down to less than half of their teams remaining. NCAA March Madness Twitter account has been focused solely on men's basketball... what a surprise. As always, the men far overshadow the women's tournament despite the fact that both are exciting. We don't like this. This year has had more close games on the women's side. 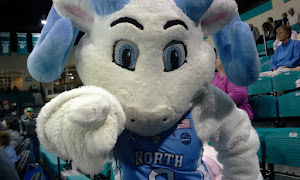 Why NCAA March Madness refuses to give the women their fair share of the spotlight is beyond me but it appears "Nite-Nite" has had enough of it and I fully agree with her. 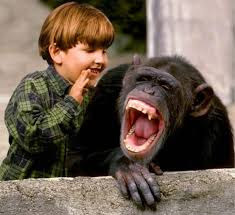 Unless you're the Chimps or the coin, you're in good shape most likely. One bracket participant has lost its champion. Three brackets have lost one of their final two teams. Four brackets have lost at least one Final Four team. If you entered a bracket either by email or in the comments and have questions, feel free to shoot me an email at eupherjared@gmail.com and I'll make sure to get that corrected. 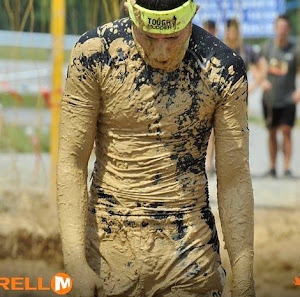 A huge "Thank You" to Jared for being the "Bracket Master" and his care for detail, accuracy and reporting on the contest. 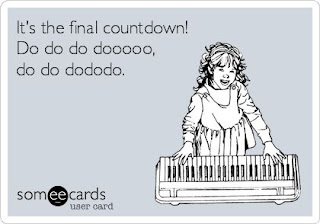 After last night's second round NCAA WBB games, we now know the Sweet Sixteen. Surprises? Yes, maybe a few. All four #1 seeds are still alive, though, as well as all #2 seeds. Out of the #3 seeds, Syracuse has left the dance, upended by #6 South Dakota St.#3 Iowa State had their season ended at the hands of #11 seed Missouri St. and #3 Maryland won't go to Albany, a victim of #6 UCLA. #1 Mississippi State vs #5 Arizona At. #2 Oregon vs. #6 South Dakota St. The PAC 12 has had a good showing in the 2019 NCAA WBB Tournament so far with five teams in the Sweet Sixteen. 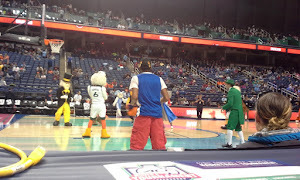 After that, the ACC and SEC have three representatives. 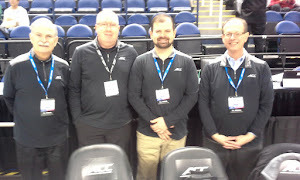 With one school each we have the AAC, Big 10, Big 12, Missouri Valley and the Mountain West. 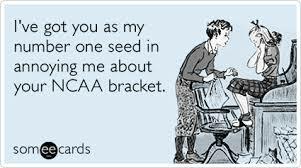 If you're scratching your head over your bracket picks, don't feel like you are the only one. Here at the Cardinal Couple Pick 'Em, no one had Missouri State and South Dakota St. wasn't a very popular pick either. Syracuse, DePaul and Kentucky were popular picks that failed to advance. We have no "perfect" brackets, by any means, and the best score so far, as reported to me by our Bracket Chairman Jared Anderson, is 39 out of 48 possible correct picks. A couple of contestant have that 39 number, but it is still quite the close race with 15 games to go. How does it play out for Louisville? 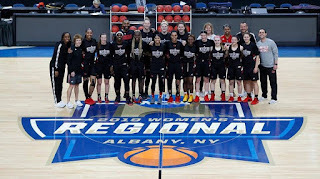 Headed to Albany for 3rd round action against Oregon St., the Cards will play at either 7 PM or 9:30 p.m. on Friday, March 29th. An official confirmation of which slot Louisville gets hasn't been released yet...but I'll bet you that the NCAA and ESPN give their darlings UCONN the early slot and put the Cards at 9:30. God forbid the Huskies have to play past Geno's bedtime...or be denied the prime time slot of the two games. It would be the latest start time of the season for Louisville. For Oregon. 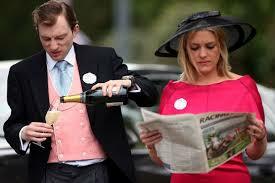 St...body wise...it'll feel like it's 6:30 p.m. their time (PDT). 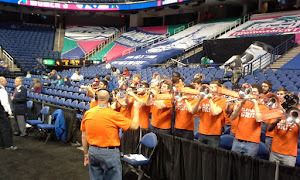 The Albany Times-Union Center can hold 15,500 for a sporting event. That most likely means 14,000 Huskies fans, about 500 Louisville fans and two west coast teams in UCLA and Oregon St. plus media and such making up the rest. Purists will tell you that it only makes sense that the lower of the top two seeds should play first. I'll look with interest when the times of the other seven games are listed. Conspiracy theorist, here's your bologna sandwich...chew on that awhile. I will not be making the trip to Albany. I'm saving up for a hopeful run to Tampa. 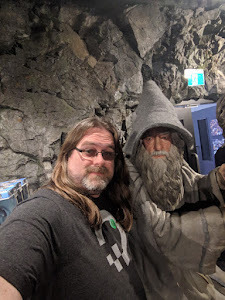 I did look at the drive (over 800 miles one way) and the cheapest round-trip airfare (slightly over $600) to Albany and had to make a financial decision. Add in lodging for three or four days and the numbers just didn't come out in Paulie's favor. 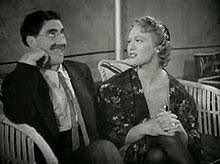 Maybe someone will leave a bag of money on the front porch of the Sykes estate. Until that money tree I've got planted in the back yard starts shedding $20's and $50's...I have to play it pretty close to vest. 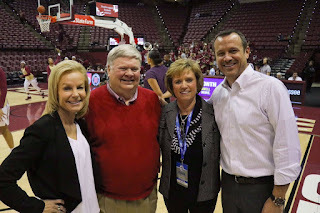 Cardinal Couple is doing OK financially but the ACC Tournament took a big bite out of the budget and there is something appealing about three or four days in sunny Tampa in early April. Louisville is 2-0 lifetime against the Beavers. 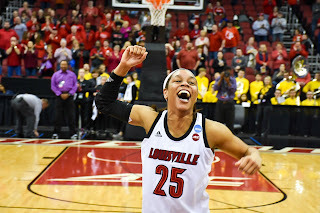 The Cards rolled past them last year in Lexington 76-43 in the NCAA Lexington regional final to advance to Columbus. We'll have more on the breakdown and comparative analysis later in the week. Out of the sixteen teams, Louisville has played four of them this season (NC State, Arizona St., Notre Dame and UConn) and is 4-2 against them. The probable path for the Cards in the three potential games after OSU is UConn, Notre Dame and Baylor....unless the Madness continues. That's a tough task for anyone. 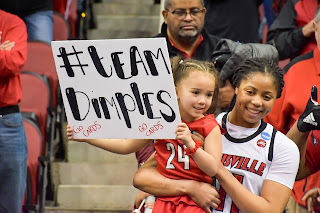 Louisville has shown that they can play defense as well as anyone in the nation, though, and when you have Asia, Arica, Sam, B, Jaz, Kylee, Dana. Kasa, Lindsey, Seygan and the Attack Yorkie Jess...all things are possible. You can cast your fan vote for Asia Durr as the Naismith WBB Player of the Year at the link below. There are a few other things to vote on as well once you get there. I voted for "Ja" from Murray State as the men's player of the year, Wes Moore for women's coach of the year and Rick Barnes for men's coach of the year. If you don't vote, then don't complain about the results, OK? You can vote each day, by the way. 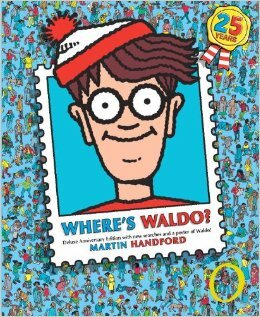 What are you doing still reading this? GO VOTE! 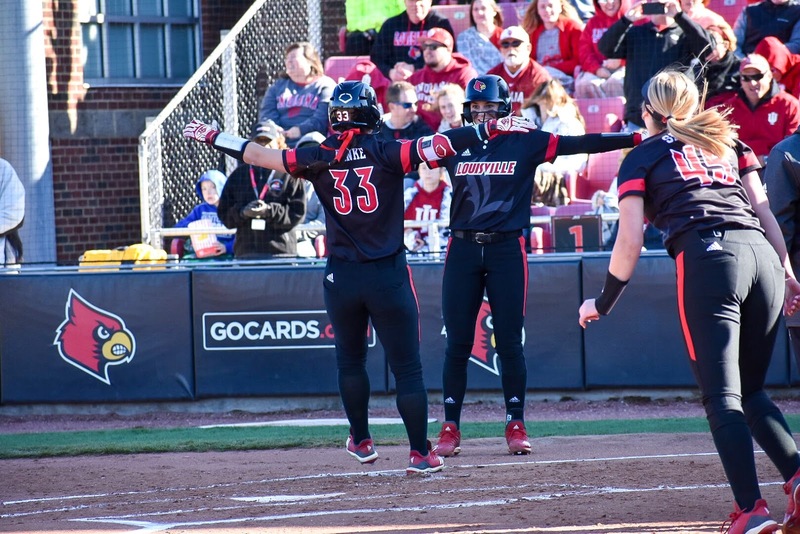 At 20-10 and 3-3 in the ACC, Louisville Softball steps out of conference play to face the Indiana Hoosiers at 5 p.m. today at Ulmer. IU is 25-9 and ranked #20 or #22 in D1 College softball. They cross the Ohio River after an opening Big 10 weekend against Ohio State and got swept in three games by the Buckeyes in Columbus. The Cards hold a 17-3 all-time record advantage over the Hoosiers and traveled to Bloomington last year for a 11-7 win. 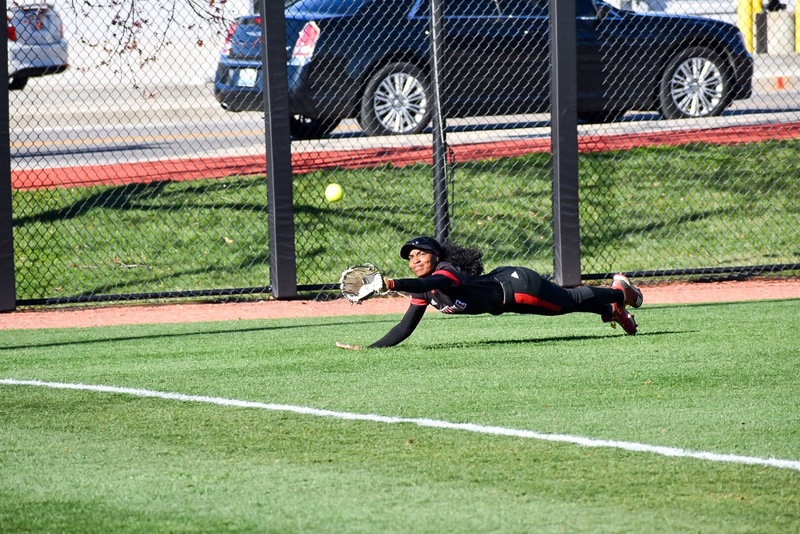 Louisville took an early lead against IU and benefited from a seven run seventh inning back on April 18, 2018 for the "W". 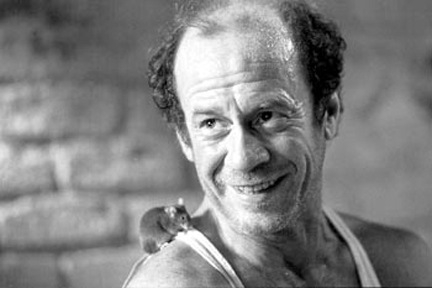 "Maybe Louisville will stop by Mouseville on their way to Tampa." A clear, mid 50's temperature day should greet the two squads when they line up on the base paths for the National Anthem. 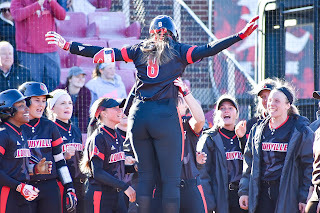 Come on out after work, leave early or arrive a bit late if you have to...catch exciting UofL Softball action today. Several of the Cardinal Couple crew and associates will be haunting the press box, give us a prom wave or throw a foul ball at us if you wish. If you can't make the affair, it'll be shown on the ACCNE with our buddy Don Russell and Suzanne Bush handling the microphone duties. A tremendous Tuesday to you!